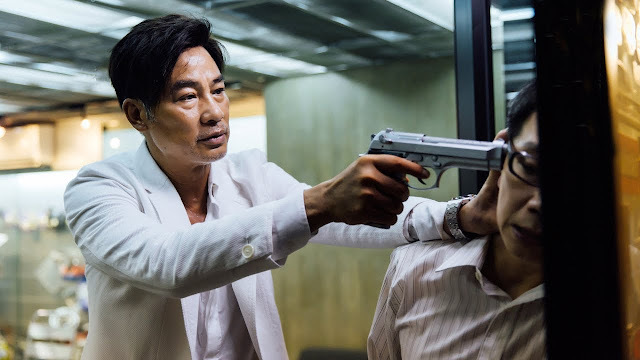 Trailer for upcoming Chinese film "The Colour of the Game"
A triad member and his protégé are pulled into a vengeance mission for a mob boss who end up unveiling a conspiracy hidden behind the mission. Infamous director Wong Jing is a very busy man. After his successful but subpar "From Vegas to Macau" trilogy, he presents the third part of his colour universe. Previous films are "Colour of the Loyalty" (2005) and "Colour of the Truth" (2003). Cast includes Simon Yam, Jordan Chan and Philip Ng. Asian Film Vault: Trailer for upcoming Chinese film "The Colour of the Game"